As a rule, most people respond favorably to challenges in their life; as long as they are able to unscramble, manage, and otherwise adjust to whatever consequences or variations the challenges might bring. Whether adapting one’s lifestyle to include a new spouse, managing a sudden decrease in income, or just handling an unannounced visit from relatives, life is full of tests and tasks… of changes and conflicts. The intriguing question posed in this article and the past two Eye of Prophecy articles relating to the fate of the Jewish Temples is designed as a challenge to explain what happened to them and why. To stimulate reflection about the repercussions of such a devastating time of Jewish history. To investigate the staggering impact on the entire Jewish faith WHEN Solomon’s Temple, then (hundreds of years later) Herod’s Temple, was destroyed. But also Gentile participation in this history pertaining mostly to religious systems that, to varying degrees, were patterned after and around the Mosaic Laws. To once again come to terms with the rolling Premise of these articles: No Temple, no sacrificial offerings. No sacrifices, no atonement forgiveness of sins. No forgiveness, no redemption. No redemption, no right standing with God. (1) Solomon’s Temple: God removed his very presence from this magnificent Temple; therefore, from among his people. Some six years before King Nebuchadnezzar sacked Jerusalem and tore down the Temple, Ezekiel witnessed God’s glory depart from the Temple. “Then the glory of the Lord moved out from the door of the Temple and hovered above the cherubim. And as I watched, the cherubim flew with their wheels to the east gate of the Lord’s Temple. And the glory of the God of Israel hovered above them” (Ezekiel 10:18-19). A short time later, “Then the glory of the Lord went up from the city and stopped above the mountain to the east” (Ezekiel 11:23). 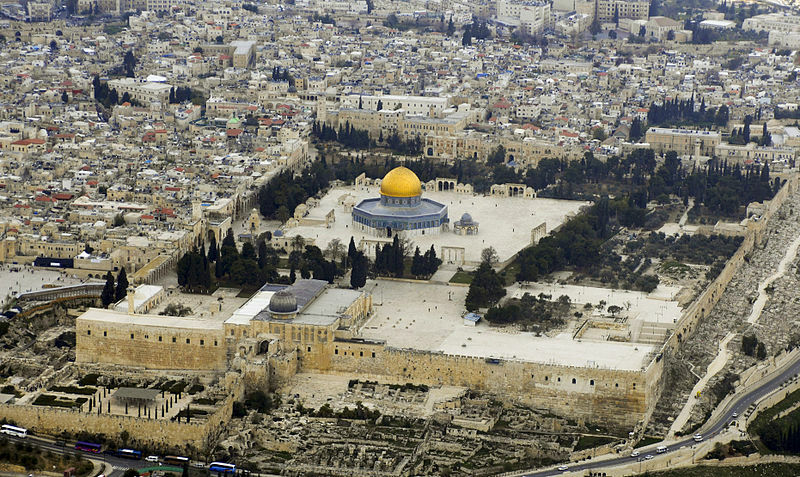 The mountain to the east of Jerusalem is none other than the Mount of Olives. Amazingly—beyond mere coincidence—this is exactly where Messiah will step foot upon his spectacular (return) appearance to rescue Israel from annihilation during the Great Tribulation (Zachariah 14:4). Prophetically, Messiah will enter Jerusalem by the same Eastern Gate, currently sealed and impassable, through which God withdrew his presence. Thus, the Glory of the Lord that temporarily returned to the 2nd Temple in the form of Messiah Jesus will reappear permanently to Israel and the whole world. 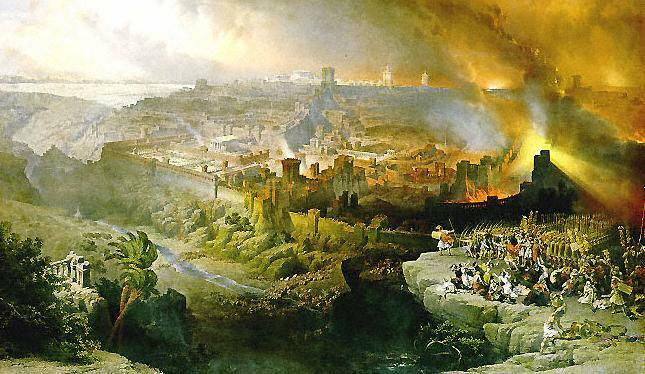 (2) Herod’s (the 2nd) Temple: When this temple was razed to the ground by the Roman Legions, the Mosaic Covenant Sacrificial System ceased to function as the ongoing source of redemption. The loss of God’s glorious presence among his people followed by removal of sacrificial shedding of blood for atonement of sin dealt devastating blows to the heart of Judaism and the soul of the Jewish people. By and large, they have never recovered from this dual discipline; administered as a result of their continuous disobedience to God and denial of their Messiah sent by God to reconcile and restore them back to God. But one day (soon) all that will change! They will recover and rejoice, because all of Israel will be saved … individually and nationally, physically and spiritually. Speaking to the Gentile believers in Rome, the Apostle Paul cautioned them optimistically: “I want you to understand this mystery … so that you will not feel proud about yourselves. Some of the people of Israel have hard hearts, but this will last only until the full number of Gentiles comes to Christ. And so all Israel will be saved. As the Scriptures say, ‘The one who rescues will come from Jerusalem, and he will turn Israel away from ungodliness. And this is my covenant with them, that I will take away their sins’” (Romans 11:25-27, italics for emphasis). Please remember … Paul was a Jew, who’s zealous die-hard ambition to defend the Judaic Law of Moses had consumed him. That is until Messiah Jesus supernaturally appeared to Paul (Saul), and challenged him to explain why he was persecuting the Christians, which was a direct attack on Messiah Yeshua, himself. Paul’s heart, life, and destiny miraculously changed. Then, Jesus consumed and compelled him. As is sometimes said: The rest is history. 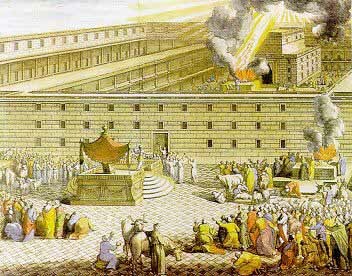 Concerning the Jewish Temples, the historical evidence is undeniable: Since the destruction of Solomon’s Temple, God’s Shekinah glory (his majestic presence) had been glaringly absent from the Temple. Then, the essence and substance of God’s forgiveness through the Atonement Sacrifices abruptly ceased with the loss of the 2nd Temple. According to the Law of Moses—which to varying degrees is still practiced or at least recognized by millions of Jews the world over—without the God-ordained place and procedure for shedding of blood, there is no remission of sin … no acquittal for the penalty for sin. Where, then, is the Temple? Is There a Replacement Remedy for the Absence of a Temple? God, in his supernatural sovereignty, would see to it that destructive removal of both Temples would be replaced with something and someone even better. Indeed, that was God’s plan from the very beginning—to provide a Messiah Savior who would restore the glory and presence of God because he, himself, is God. “For a child is born to us, a son is given to us. The government will rest on his shoulders. And he will be called: Wonderful Counselor, Mighty God, Everlasting Father, Prince of Peace” (Isaiah 9:6). As the King of all kings, he would reestablish King David’s dynasty. “His government and its peace will never end. He will rule with fairness and justice from the throne of his ancestor David for all eternity….” (Isaiah 9:7). And, as we shall soon see, he would assume the High Priestly Order of Melchizedek by offering himself as the final, perfect sacrifice for all mankind. Thus, the lamentable loss of both Temples was—like an intricate tapestry—providentially woven into God’s stunningly brilliant plan for his chosen people AND for Gentiles, who were not originally God’s people, but would become his people; Jew and Gentile … one new creation, one new man. A new universal Temple built by God himself, in the hearts of men, women, and children from nations the world over. “So now you Gentiles are no longer strangers and foreigners. You are citizens along with all of God’s holy people. You are members of God’s family. Together, we are his house, built on the foundation of the apostles and the prophets. And the cornerstone is Christ Jesus himself. We are carefully joined together in him, becoming a holy temple for the Lord. Through him you Gentiles are also being made part of this dwelling where God lives by his Spirit” (Ephesians 2:19-22). In this passage, God’s holy people are the Jews … with the word holy meaning set apart for a special purpose. We are his house (dwelling place) means both Jew and Gentile (We). And this new dwelling place is built equally on the foundation of the (Old Testament) prophets and (New Testament) apostles. Moreover, Messiah Jesus is the CORNERSTONE of this incredible building. This sensational spiritual structure has become a (the new) holy temple for the Lord. Both Jew and Gentile are part of this dwelling where God lives by his Spirit. In times past, only the Jewish High Priest could approach God once a year in the Temple’s Inner Sanctuary, the Holy of Holies. A Gentile could never enter the Temple itself; only in the Court of the Gentiles. But with the New Covenant God graciously changed all that: “Together as one body, Christ reconciled both groups to God by means of his death on the cross, and our hostility toward each other (between Jew and Gentile) was put to death. He brought this Good News of peace to you Gentiles who were far away from him, and peace to the Jews who were near. Now all of us can come to the Father through the same Holy Spirit because of what Christ has done for us” (Ephesians 2:16-18). This is all possible because the Old Covenant configuration of sacrificial atonement that took place in the earthly temple was completed, perfected, and replaced by the New Covenant’s heavenly standard whose Temple and ultimate sacrifice is Messiah himself. We find only a brief record of Melchizedek in the book of Genesis, but a detailed account of this mysterious man in the New Testament. The book of Hebrews daringly, but logically explains how Jesus ultimately fulfilled the priestly order of the first High Priest, which was Melchizedek, not Aaron. How and why Yeshua was qualified to become and remain the Eternal High Priest. It’s also vital to understand that Hebrews was written by a Jew (as were nearly all of the New Testament books) who fully understood and accepted the fact that, “…We have a High Priest who sat down in the place of honor beside the throne of the majestic God in heaven. There he ministers in the heavenly Tabernacle, the true place of worship that was built by the Lord and not by human hands” (Hebrews 8:1-2). The Jewish writer of Hebrews unveils the mystery of this extraordinary Priest/King: “Consider then how great this Melchizedek was. Even Abraham, the great patriarch of Israel, recognized this by giving him a tenth of what he had taken in battle. Now the Law of Moses required that the priests, who are descendants of Levi, must collect a tithe from the rest of the people of Israel, who are also descendants of Abraham. But Melchizedek, who was not a descendant of Levi, collected a tenth from Abraham. And Melchizedek placed a blessing upon Abraham, the one who had already received the promises of God. And without question, the person who has the power to give a blessing is greater than the one who is blessed” (Hebrews 7:4-7). The author of Hebrews then contends, “…Melchizedek is greater than they are, because we are told that he lives on “(Verse 8, italics for emphasis). From all the Scriptural evidence about Melchizedek, but especially this verse, many Bible scholars and commentators (including me) firmly believe that Melchizedek was not only the ultimate prototype of a High Priest and King, but that he was actually the pre-Incarnate Messiah (Jesus), who made several appearances before his actual birth in Bethlehem. Listen closely as the writer of Hebrews contests the enduring effectiveness of the Levitical system by clarifying the contrast between the Aaronic priesthood and the Priestly Order of Melchizedek: “So if the priesthood of Levi, on which the law is based, could have achieved the perfection God intended, why did God need to establish a different priesthood, with a priest in the order of Melchizedek instead of the order of Levi and Aaron?” (Hebrews 7:11). Then the author presents a conclusive challenge that justifies a New Covenant and a different, superior Mediator of that Covenant: “And if the priesthood is changed, the law must also be changed to permit it. For the priest we are talking about belongs to a different tribe, whose members have never served at the altar as priests. What I mean is, our Lord came from the tribe of Judah, and Moses never mentioned priests coming from that tribe. This change has been made very clear since a different priest, who is like Melchizedek, has appeared. Jesus became a priest, not by meeting the physical requirement of belonging to the tribe of Levi, but by the power of a life that cannot be destroyed. And the psalmist pointed this out when he prophesied, ‘You are a priest forever in the order of Melchizedek’” (Hebrews 7:12-17). Psalms 110:4 is quoted here. Next, “The law appointed high priests who were limited by human weakness. But after the law was given, God appointed his Son with an oath, and his Son has been made the perfect High Priest forever” (Hebrews 7:28). The author of Hebrews then explains the responsibilities of a high priest and The High Priest; why the functions of the earthly priests were meant only to be a shadowy prelude to the real (ideal) model. “And since every high priest is required to offer gifts and sacrifices, our High Priest must make an offering, too. If he were here on earth, he would not even be a priest, since there already are priests who offer the gifts required by the law. They serve in a system of worship that is only a copy, a shadow of the real one in heaven. For when Moses was getting ready to build the Tabernacle, God gave him this warning, ‘Be sure that you make everything according to the pattern I have shown you here on the mountain’” (Hebrews 8:3-5). Thus, it’s profoundly clear that the original Tabernacle, then the Temples were types or shadows patterned after the perfect Temple in heaven. A Temple not built by human hands; rather the Temple of God, himself, contained in the very body of Yeshua … the Incarnate Messiah. “But now Jesus, our High Priest, has been given a ministry that is far superior to the old priesthood, for he is the one who mediates for us a far better covenant with God, based on better promises” (Hebrews 8:6). In the following passage, we once again see the incomparable excellence of the New Covenant over the Old Covenant, the new Temple over the Old Temple, and the new Sacrifice over the old sacrifices. “That is why the Tabernacle and everything in it, which were copies of things in heaven, had to be purified by the blood of animals. But the real things in heaven had to be purified with far better sacrifices than the blood of animals. For Christ did not enter a holy place made with human hands, which was only a copy of the true one in heaven. He entered into heaven itself to appear now before God on our behalf. And he did not enter heaven to offer himself again and again, like the high priest here on earth who enters the Most Holy Place year after year with the blood of an animal. If that had been necessary, Christ would have had to die again and again, ever since the world began. But now, once for all time, he has appeared at the end of the age to remove sin by his own death as a sacrifice” (Hebrews 9:23-26). AMAZING! Permanent removal of sin, not just perpetual partial covering of sin. No need for continued animal offerings, nor an earthly temple in which to perform those sacrifices. So, you see: God made something ultimately good and lasting out of the two greatest tragedies that ever befell the Jewish people … the horrific, humiliating destruction of the Temples. But that was his plan all along. Why a New Covenant … A New Temple? Because the Lord knew that his people (all people) never could and/or never would keep the first covenant at all times in all points. All have sinned and fallen short of God’s glorious and holy standards and requirements (Romans 3:23). The Lord fully understands the natural bent of mankind: That of trying to earn God’s favor, trying to merit salvation and eternal life by performance, by innate worth, by good works; instead of simply agreeing with God and accepting his grace … the wonderful, matchless gift of God’s own Son as a substitutionary sacrificial payment for all the wrong things we have done. Thus, God gave the Law for two reasons: (1) as dependable as the conscience of man can sometimes be, it is not constantly adequate or endlessly reliable to unerringly distinguish right from wrong. Hence, it was necessary to establish universally objective moral and spiritual laws (summarized in the Ten Commandments) so that no one would excuse immoral behavior by saying they didn’t know it was (for example) wrong to steal. (2) To give men and women every chance possible to earn their salvation by obeying these laws perfectly. But because no one has ever kept the Law in every point, the Law ended up sentencing us to everlasting death. How sadly ironic: the only thing earned is physical and then spiritual death (separation from God forever). “For the wages of sin is death….” (Romans 6:23a). As asked and answered by Paul, “Why, then was the law given? It was given alongside the promise to show people their sins. But the law was designed to last only until the coming of the child who was promised….” (Galatians 3:19) Paul goes on to identify this ultimate child of promise as Messiah Jesus. Listen again to the words of Hebrews: “If the first covenant had been faultless, there would have been no need for a second covenant to replace it. But when God found fault with the people, he said (Then the writer quotes Jeremiah 31:31-34): ‘The day is coming, says the Lord, when I will make a new covenant with the people of Israel and Judah. This covenant will not be like the one I made with their ancestors when I took them by the hand and led them out of the land of Egypt. They did not remain faithful to my covenant, so I turned my back on them, says the Lord. But this is the new covenant I will make with the people of Israel on that day, says the Lord: I will put my laws in their minds, and I will write them on their hearts. I will be their God, and they will be my people … And I will forgive their wickedness, and I will never again remember their sins” (Hebrews 8:7-10, 12). What about this New Covenant, which was announced by the Old Testament prophet Jeremiah just a few years before the destruction of Jerusalem and Solomon’s Temple? Has the New Covenant arrived? If so, when? How? By whom? Listen to these penetrating words spoken by Jesus to the Jewish Pharisees: “And haven’t you read in the Law of Moses that the priests on duty in the Temple may work on the Sabbath? I tell you, there is one here who is even greater than the Temple! But you would not have condemned my innocent disciples if you knew the meaning of this Scripture: ‘I want you to show mercy, not offer sacrifices.’ For the Son of Man is Lord, even over the Sabbath!” (Matthew 12:5-8, Jesus quoted from Micah Chapter 6). Astounding! Jesus refuted the unfounded allegations of the Pharisees that the disciples were breaking the Sabbath by eating some heads of grain still on the stalk … through the Pharisees legalistic interpretation that the disciples were harvesting the grain. With divine authorized authority, Jesus declared that he was greater than the Jewish Sabbath, greater than the Temple, greater than the Law of Moses. Jesus IS the Sabbath. Jesus IS the Temple. Jesus IS the Living Word of God (John 1:1). There’s more: In answer to an argumentative question from the Jewish religious leaders as to who gave him the authority to drive out the money changers from the Temple, Jesus replied, “…Destroy this temple, and in three days I will raise it up. The Jews then said, ‘It took forty-six years to build this temple, and will you raise it up in three days?’ But He was speaking of the temple of his body. So when He was raised from the dead, His disciples remembered that He said this; and they believed the Scripture and the word which Jesus had spoken” (John 2:19-22, NASB). Remember the startling statement by Jesus at the last Passover supper with his disciples. He announced that the New Covenant was about to begin. “After supper he took another cup of wine and said, ‘This cup is the new covenant between God and his people—an agreement confirmed with my blood, which is poured out as a sacrifice for you’” (Luke 22.20). Here, I would like to quote an excerpt from my book, Out of the Abyss (pages 66-67). Jesus proclaimed this unparalleled new covenant from Jerusalem, the God-ordained location of annual Passovers. In no uncertain terms, Christ explicitly announced that he himself would be the blood sacrifice required by God to start, satisfy, and seal the very covenant predicted by Jeremiah … The Son of Man who spoke these words would soon be nailed to a cross as the ultimate sacrificial Passover Lamb, exclusively selected and sent by God to redeem Israel and the whole world. While he hung on the cross, the very Temple curtain that separated the sacrificial inner sanctuary (Holy of Holies) from the rest of the Temple was inexplicably ripped apart. Three days later Jesus arose from the dead to forever ratify the total efficacy of so great a sacrifice and so great a salvation that he purchased with his life’s blood. Those who have accepted his sacrifice and redemption can freely enter the very presence of God at any time from any place in the world. For not only is the Temple curtain gone, so is the Temple itself. Until the return of Messiah, the Temple of God is now the body of Christ. God the Holy Spirit resides in the heart of every believer. Those in Christ are the body and Temple of the living Triune God. We love you Lord, because you first loved us! Hallelujah to the Lamb of God! Some thirty years later, the Apostle Paul would write his last two epistles to Timothy. In keeping with the main purpose of Paul’s writings—to encapsulate the entire life, death, and resurrection of Jesus into the eternal tenets of the Christian faith—he states: “For there is only one God and one Mediator who can reconcile God and humanity—the man Christ Jesus” (I Timothy 2:5). Hence, we have the incomparable, immeasurable, and irreplaceable New Covenant of Grace. “He is so rich in kindness and grace that he purchased our freedom with the blood of his Son and forgave our sins” (Ephesians 1:7). “You are coming to Christ, who is the living cornerstone of God’s temple. He was rejected by people, but he was chosen by God for great honor. And you are living stones that God is building into his spiritual temple. What’s more, you are his holy priests. Through the mediation of Jesus Christ, you offer spiritual sacrifices that please God” (I Peter 2:4-5). Equally remarkable are Paul’s words to the Corinthians: “Don’t you realize that all of you together are the temple of God and that the Spirit of God lives in you? God will destroy anyone who destroys this temple. For God’s temple is holy, and you are that temple” (I Corinthians 3:16-17). Where is the Temple? The question must be answered because to dismiss it, to ignore it, to pretend that it doesn’t matter is to maintain that a person’s self-enabling obedience to God’s laws, meriting God’s favor through good works or charitable activities as the means of salvation, and earning a destiny in heaven can be achieved WITHOUT the parallel and equally significant mandated remedy for atonement of sin through the sacrificial offerings required by Almighty God. You simply can’t have one without the other. So, does the question even have an answer? The answer to that question depends upon whether anyone earnestly and honestly searching for the truth will agree that a New Covenant is necessary and is in place. For, without the sacrificial offerings, the Law can only judge. Without a replacement to the Old Testament system of Atonement that ended with destruction of the Temple, the Law can only condemn. However, for all who agree that Jesus is the Messiah who arrived on the scene of history as Biblically prophesied hundreds of years earlier saying Messiah would come before the (2nd) Temple would be destroyed; that he died and rose again as the ultimate perfect sacrifice for their sins; then place their complete trust in his redemptive atonement thereby entrusting their eternal destiny to his finished work on the cross, they will have positively answered the question. The New Temple is Christ and Christ is in every person who accepts him as personal Savior. Let’s get personal: If you prefer to stake your eternal destiny on your ability to keep the law, then you still haven’t answered the question. Indeed, there is no answer to your dilemma. Why? Because the Law of Moses demands perfect compliance—with continual sacrificial offerings as a divine solution for noncompliance, either willfully or carelessly. Which is why, “…the old requirement about the priesthood was set aside because it was weak and useless. For the law never made anything perfect. But now we have confidence in a better hope, through which we draw near to God. This new system was established with a solemn oath. Aaron’s descendants became priests without such an oath, but there was an oath regarding Jesus. For God said to him, ‘The Lord has taken an oath and will not break his vow: You are a priest forever.’ Because of this oath, Jesus is the one who guarantees this better covenant with God” (Hebrews 7:18-22). God still gives us free will, the option to choose. But concerning atonement, redemption, salvation: forgiveness is available only through the shedding of blood. The Old Covenant was a temporary shadow. It is gone, along with the Temple. Will you choose the Old or the New? Then: The Presence of God only in the Temple; withdrawn before the Temple’s destruction, because of disobedience. Now: The Kingdom of Heaven residing and reigning in the hearts of believers in Yeshua. Soon: The Kingdom of God resting and reigning on the earth from Jerusalem, with Yeshua, himself, living among his people. Where is the Temple? Can you answer? Will you answer?